ASK: Labor essentials; How do I time a contraction? Use an app? 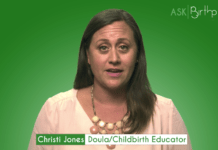 ASK: How can my support person or partner best support me during labor?